As I mentioned in the first episode of the Diehard GameCAST, I’ve probably played about seventy to eighty percent of From Software’s game catalog; starting from Armored Core and King’s Field on the PSX and moving onto today, including games like Chromehounds, the Otogi and Tenchu games, Ninja Blade, Enchanted Arms, Kuon, Echo Night… well, you get the point. As you might surmise from that observation, yes, I have, in fact, played Demon’s Souls, and as you might expect, I thought it was pretty good… but the reaction to it was somewhat baffling. Demon’s Souls has, at present, a Gamerankings average of nearly ninety percent, which is, frankly, an amazing score for what is essentially an oppressively challenging experience… given the average Gamerankings score for, say, King’s Field: The Ancient City, which is about fifty six percent. Now, look, I’m not saying that there’s an issue with that scoring disparity; reviewers change constantly between sites and the time period between the two games is something like seven years, so I get that. 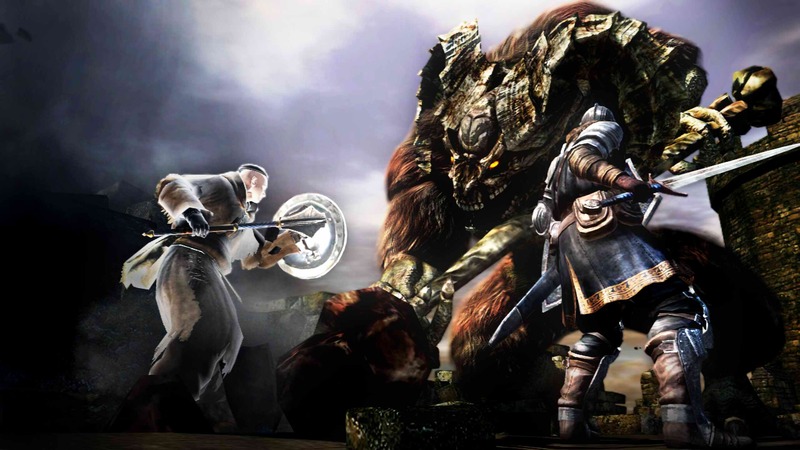 However, From Software basically intended Demon’s Souls as a spiritual successor to the King’s Field franchise, which is a series that has never done well in the US, but somehow, Demon’s Souls managed the impossible task of being almost universally praised… despite retaining many of the elements that people didn’t like about King’s Field. Here’s the thing: Demon’s Souls is the sort of game that really seems like it would be reviewer repellant. The plot is very minimal and of limited structure, the pacing of the game is very slow, the game isn’t particularly helpful about what it expects of you as a player, and yes, you die a whole lot while playing. Now, I like those sorts of things because I’ve spent years growing up with those kinds of games, as my write-up of the time I spent with the game at E3 this year proves, and J. Rose likes them even more so, which is why he wrote up the text when we awarded Demon’s Souls the title of Best PS3 Game for the year of 2009, but that becomes confusing when a whole lot of people said Demon’s Souls was the best PS3 game of 2009. Alex and Ian both hit various nails on the head when discussing why this was a hard game to appreciate, between the limited narrative, oppressive difficulty, slow pacing and an online system that seemed to encourage griefing, and many reviewers even made a point of noting they couldn’t recommend the game to others. 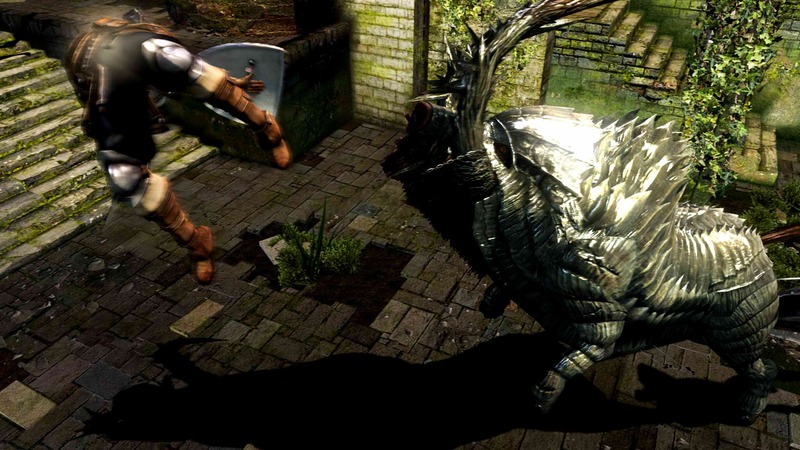 “Niche”Â is a term made for Demon’s Souls, but somehow the game transcended this, and ended up becoming a game that was so positively critically received that it defies common logic. It’s truly an amazing thing, and it’s also something that Dark Souls, the subject of today’s review, is also experiencing. There are, astonishingly, no obvious diminishing returns for From Software this time around, as despite revisiting a lot of the same concepts that made Demon’s Souls so well received, reviewers have come out in force to praise the game… while, in many cases, once again noting that this is a hard game to recommend. This is, as it turns out, a somewhat reasonable, if no less odd, sentiment. Dark Souls exists as a wholly separate entity from Demon’s Souls: this game takes place in the land of Lordran, which is suffering from a rather curious affliction of, uh, zombies. Basically, humans are coming down with an affliction dubbed Hollowing; the humans in question eventually become what look like Deadites, and while they retain their capabilities from life, they are both basically dead and also very insane and violent. You take on the role of a Hollow Undead who has somehow not lost his or her sanity, but is being stored in what is dubbed the Undead Asylum because, presumably, you’re still a risk. After a series of events comes together to liberate you from the Asylum and bring you to the Firelink Shrine, your path is laid out before you: ring the bells at the top and bottom of the world, then free the world of the Hollow curse… well, not in so many words, of course. The thing about Dark Souls is that the plot is quite minimalistic; while there are certainly plot points you can follow to gain insight on the goings on in the world as it is, very little of them are mandatory and there aren’t a whole lot of them overall. As such, if you’re the sort of person who needs lots of plot exposition, you’ll find this to be a trial to overcome from the get-go because of how limited the dialogue and explanations for things are throughout the game. However, if you’re the sort of person who actively enjoys when games shut the hell up and let you play, you’ll find the plot of Dark Souls to be an engaging one. The characters have surprisingly deep personalities for their minimal amounts of given dialogue, and a lot is conveyed in only a few small lines as you progress through the game. Less is more here, and the game manages to craft an interesting plot with compelling concepts without having to spend hours telling you what’s going on, which is absolutely to its benefit. Dark Souls is a visually stunning product, due in large part to its ability to craft a very specific sort of emotion in its visual setpieces. The entire game is based around attempting to craft a specific feeling of despair in the player, and whether it be through dilapidated cities, desecrated crypts, defiled churches, or beautiful but barren underground sandbars along hauntingly serene lakes, the visuals accomplish this task admirably. The enemy and character textures are all very well detailed, and the animations used, though often repeated, are all fluid and look believable in motion, especially during some of the more tense battles where every tell the enemy uses is vital to survival. The game has some technical problems when it’s attempting to process too much overall world data, however, and will occasionally drop noticeably in its frame rate, which can be heavily problematic in the middle of battle, though it doesn’t happen constantly and can often be waited out. Aurally, the game features a minimal amount of voice acting and music, but the music is often ambient and very haunting during the various open world areas it appears in, before switching to more panicked and driving scores when encountering the various boss monsters scattered throughout the game world. The voice acting is also generally pleasant, in the rare instances when it comes up; the various NPC’s you’ll meet generally speak in a fashion that plays to their mentality, and characters who are starting to become Hollow slowly begin to sound more and more mad as you speak with them in a nice touch. The sound effects are mostly very good, and while some of the effects are a bit odd, such as the death cries of the Mushroom Men and their weird woodland noises, they’re all generally well implemented and identifiable if nothing else. For those who have played Demon’s Souls, the basic mechanics of Dark Souls are going to be very familiar and easy to work with, but for those who missed the prior game, some explanation is in order. As one might expect, the left and right sticks control movement and the camera, respectively, but combat is relegated to the triggers and bumpers. In most cases, the left and right bumpers are either weak attacks or normal actions, meaning that you’ll perform normal attacks when wielding weapons, cast spells when holding talismans, block when holding a shield, and fire an arrow when holding a bow or crossbow. The triggers perform harder strikes and alternate actions, meaning that you’ll perform more exaggerated and unsafe attacks when wielding weapons, strike when holding talismans, parry or strike when holding shields, or switch arrows and bolts when wielding bows or crossbows. What sort of weapon or item you wield will dictate what sort of effect the triggers and bumpers will have, so experimentation will be helpful when you acquire new items, as they may not do the same things even if they’re same types of weapons. The face buttons are more static in their functionality; the A button interacts with things in the game world, the B button allows you to backstep and dodge around when pressed or run when held, the X button uses whatever item you have armed at the moment, and the Y button switches from one-handed to two-handed stance with whatever weapon you have armed. The D-pad allows you to cycle between armed spells, items, and left and right hand equipment, the start button brings up the in-game menus for changing equipment or quitting the game, and the back button lets you use gestures when meeting other players, or for your own amusement. The controls can take a bit of getting used to at first if you’re not acclimated to them, but thankfully, the game puts down all sorts of explanation messages through the first zone of the game to give you an idea of how things work, so you’ll be able to get the hang of things sooner rather than later. The gear you get as you progress through the game isn’t just differentiated by its uses, however. Each weapon you find or build as you play through the game is functionally similar in that it has a base attack damage and weight, and every piece of armor is functionally similar in that it has a base defense rating across different categories and weight. However, each piece of gear also has any one of a number of other potential factors that need to be considered before putting it on. Now, base attack damage, defense and weight stats are important on their own; if a weapon’s base damage or armor’s defense ratings are low, generally, they’re going to be less effective, but the best gear often weighs a good bit more to compensate for its usefulness. 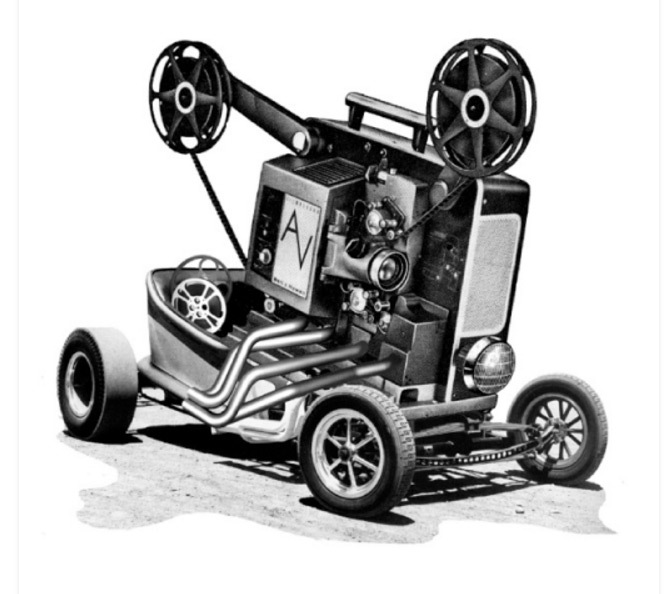 Weight, in turn, determines your ability to move around; the more your equipped gear weighs, the slower you are, meaning that dodging and movement are impaired. As such, it’s in your best interests to decide if that matters to you; lower weight gear will leave you able to dodge enemy attacks and move more easily at the cost of less damage and greater possibility of being smeared, while higher weight gear will up your defense and damage at the cost of making you, well, a tank. Further, each piece of gear can influence or be influenced by several other important statistics. Each piece of armor influences your ability to resist various types of status and elemental damage, meaning that some gear will be better than others in different situations; armor that repels flame damage but is weaker otherwise will be better against, say, Queelag than high defense, low fire protection armor, as an example. Each weapon, on the other hand, can potentially have stat requirements associated to it, such as a minimum Strength, Dexterity, or Faith value you must have to wield it; not having the minimum rankings will allow you to wield the weapon, but you’ll swing it like a tool, frankly, and it’ll basically be less than useful. Further, weapons can also have various values relative to how they’re influenced by your stats. You’ll see various stats that either have a null value or a letter value in the description for the weapon; a null value means there is no influence, but if there is a letter, the higher the stat, the more damage the weapon will do when that stat is raised, and the higher the letter, the more bonuses you get for raising that stat. In other words, if you get a spear with a higher base damage and no stat improvement, and compare it to a spear with a lower base damage and D-grade stat improvement on Strength and Dexterity, eventually the stat-improved spear will be much better because it feeds off of your stats. Various pieces of gear you find may also influence other elements of your character or add bonus actions to your action palette, so you might find armor that improves (or reduces) your stamina reduction, a shield that casts a spell that reduces damage instead of bashing enemies, or a weapon that deals a massive shockwave when wielded two-handed while performing strong attacks. You’ll also find various rings that you can equip that may improve your stats in obvious or subtle ways, as well as items you can use to temporarily boost your performance, so you’ll have even more elements to consider when preparing for various situations. There’s also the matter of your own inherent statistics. Your character has various stats that improve their base ability to do things at any given time, such as Strength and Dexterity improving their ability to wield certain gear or adding damage to gear, Attunement allowing you more spell slots for equipping spells, Endurance allowing you to equip heavier gear without being as encumbered, and so on. You can improve these stats with Souls, which you get from the enemies you kill or from pick-ups you find around the game world. Now, Souls are basically the currency of Dark Souls, so you’ll find that you’ll also need them to buy gear, upgrade gear with the Blacksmiths you find, and so on, so you’ll need to strike a balance between these needs to ensure that you can jack out your stats as well as keep stocked and keep your gear in good shape. However, you’ll definitely want to put the lion’s share of your Souls into leveling up, as leveling up also frequently improves your base defense levels, no matter what stat you choose to improve. This isn’t as easy as just dumping your souls into leveling a stat, of course, as you’ll find that each time you level up increases the soul cost for the next level up, and while it’s entirely feasible to max out all of your stats eventually, when you get to level one hundred and find you’re burning around fifty thousand souls for one level, when most boss encounters don’t pay out that amount of souls, well, you’ll want to be more frugal with how you level up as you progress. You’ll also want to make sure that you have a good plan in mind for any Souls you have in general, as any time you die, your Souls are left on your person; if you make the successful corpse run to your blood stain and recover your remains, you get them back, but if you die again, you lose the prior set of remains, and any Souls associated to them. This is doubly important because you will be dying, a whole lot, because while Dark Souls is perfectly happy to teach you the basics of combat and actions, it’s not going to hold your hand and explain how best to make use of the mechanics. The simplest way that it can be described is by making a comparison to another “hard”Â game, Monster Hunter. 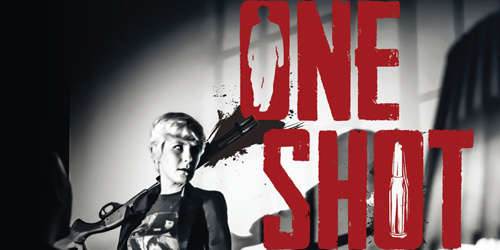 In short, both games give you all of the tools you need to succeed up front (mostly) and leave it to you, the player, to figure out what needs to be done and how best to do it. The big difference here, however, is in execution; while Monster Hunter expects the player to use every tool at their disposal in the name of accomplishing tasks, Dark Souls instead provides you the tools, then begins stripping them away by degrees, forcing you to stop relying on specific tactics to accomplish tasks and instead learn everything at your disposal. 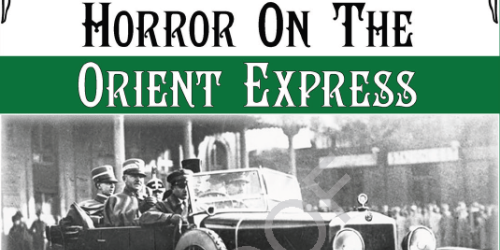 You’ll learn the basics very early; how you should “pull”Â monsters one at a time instead of get into confrontations with large groups, the best ways to avoid attacks, how to spot enemy “tells”Â that indicate their next likely attack, and so on. 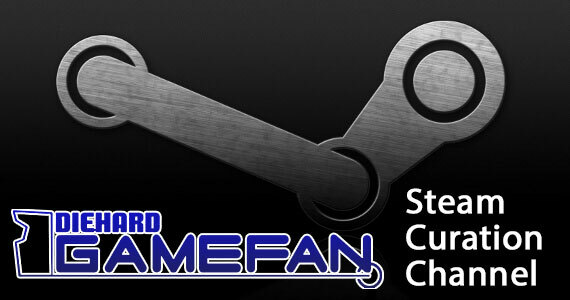 However, various sections of the game will then screw with your methods by changing up the rules a bit. Players who rely on the stability of their tower shields to bounce back attacks and turtle their way to victory will meet enemies with auto-grabs that deal massive damage and enemies that will basically empty your stamina bar and deal damage if blocked. Players who rely on long-range spell casting will find themselves dealing with enemies that close the gap in no time and ruin them completely. Players who rely on agility and dodging to progress will find themselves in areas that send you plummeting to your demise if you take a wrong step and enemies with auto-tracking so precise that getting behind them will be a miracle. The point, says Dark Souls, isn’t to find a tactic that works and stick with it; the point, rather, is to use everything available to you, because if you don’t, you’ll die. But there are actually methods by which you can exploit the game if you’re less skilled, and it is in this way that From Software has said, “Hey, look, we understand not everyone’s going to be skilled at this sort of thing, so we’re willing to throw you a bone,”Â which, while these don’t make the game a cakewalk, do help less skilled players. You can find a powerful sword early by shooting the tail off of a dragon that will massively improve your damage for a while, or head down into the Catacombs and enter into a covenant that will grant you an even better sword, and there’s a surprisingly solid lightning spear in Sen’s Fortress that’s quite helpful at various points. At least three bosses you face throughout the game can be massively cheesed out, and several bosses can be avoided entirely if you’ve no interest in dealing with them. You can also exploit the Pyromancy spell “Iron Flesh”Â to reduce damage against many enemies and massively improve your chances in boss fights if you’d rather. None of these options make the game easy, of course, but for players who are less than skilled, there are options that allow the player the ability to learn at a slower pace and see what a masterful game Dark Souls is without having to be the great players the game expects them to be, which is a solid idea and, further, actually gives the game a bit more uniform balance than one would expect from a game that bears the tag line “Prepare to Die!”Â as a semi-serious observation of the difficulty of the game. Now, none of this is at all new to Demon’s Souls players, of course. What is new is that, instead of having one universal hub that you return to and worlds attached to that hub that you visit, in Dark Souls the game world is simply one massive world that you progress through where everything is connected. At first this may seem rather problematic, what with all the different Blacksmiths, shopkeepers, and covenant holders in different areas, though you’ll find various shortcuts as you progress that actually cut down the distance from one location to the next, making travel between different locations less of a hassle in time, as well as the ability to teleport between some bonfires later in the game. Bonfires are another interesting addition to the game; essentially, the bonfires are waypoints where you can rest, refill your healing items, replenish spell stocks and mark a checkpoint if you die, at the cost of all of the enemies in the area respawning as a result. You can also buy various items that allow you to upgrade and repair equipment, and improve the volume of healing items you can gain from that bonfire, should you wish, though you’ll need to visit Blacksmiths if you want to improve your weapons to new types or ascension levels. Some bonfires are maintained by Firekeepers, who can occasionally sell useful objects, but they’re mostly there as NPC’s you can give Firekeeper Souls to, which improve the overall power of your healing items (and yes, you can kill one Firekeeper and give their soul to another to boost your power, you awful person you). The game also makes use of Humanity, which is another consumable item you carry on your person along with Souls that is also left on your carcass when you die (though you can find it as a normal item that stays in your inventory until used). Humanity allows you to kindle bonfires to increase your total healing item count, as well as return to Human form from the Hollow form you start in. Returning to Human form allows you to summon other players (or NPC’s) into your world to fight on your behalf in boss fights and such… though it can also allow other players (or NPC’s) to invade your game and assault you if they want. 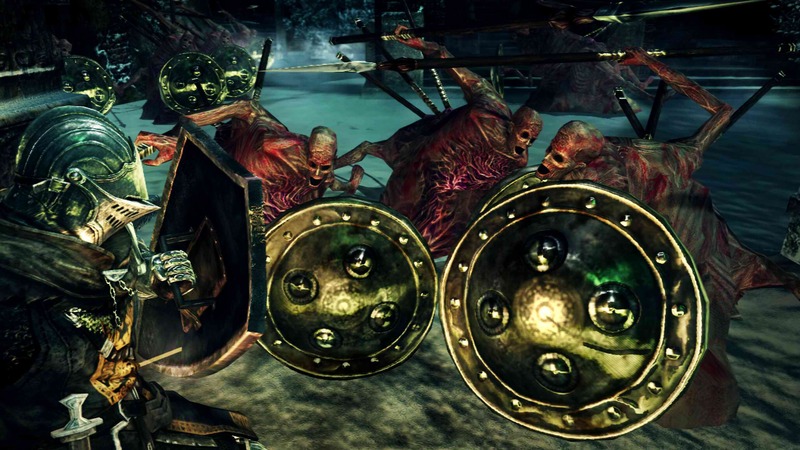 The multiplayer options in the game have also been dramatically expanded; in addition to simply invading or helping players, there are now various items you can use to invade a world to attack sinners (players who break oaths or kill others and are reported), as well as items you can use to banish invaders or report them for their misdeeds, should you wish. The game also features “covenants”Â, which basically allow you to enter into a pact with a particular faction as you see fit. 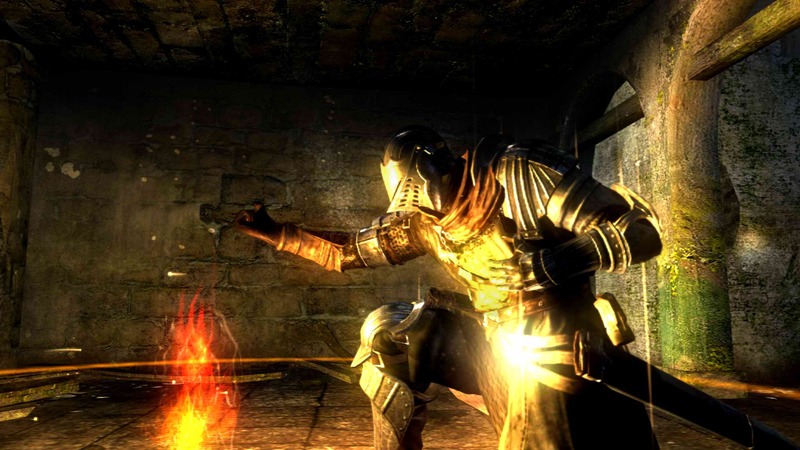 Now, Dark Souls no longer features a dedicated server system, instead working with a peer-to-peer system that will allow the game to offer online play for much longer at the cost of simpler matchmaking. One way the game tries to work around this is by matching up players of equivalent covenants to one another over anything else, so that covenant mates can find one another more readily. Several covenants also allow for various benefits if you tithe to them or perform tasks for them, so you can donate items to the covenant to get new spells or equipment if you’re looking to get everything there is to get in the game. You’ll also frequently see burning orange notes on the ground and blood stains when playing online, though this is held over from Demon’s Souls; the notes contain hints that may be helpful, harmful or (in some cases) stupid (“Amazing Chest Ahead”Â is not funny, guys, knock it off), while the bloodstains tell you that someone died in that location, and give a general idea of how, so that you (hopefully) don’t. Depending on how quickly you pick up on the mechanics of Dark Souls and how much time you spend trying to do things, you’ll likely get through your first playthrough in anywhere from forty to eighty hours, but there is so much more to the game than its first playthrough. 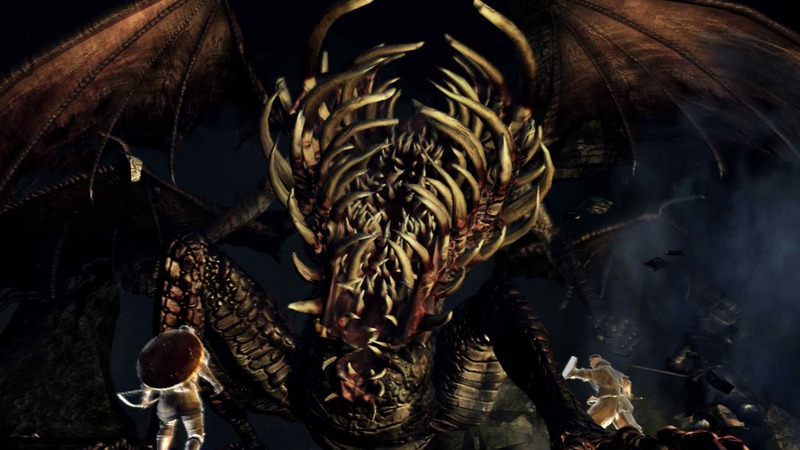 Dark Souls offers the option of multiple playthroughs, each of which lets you carry over your equipment, levels, inventory, and kindling levels (though not any of your key items or upgrading embers)… along with a raise in the difficulty of the enemies you’ll be facing, to really keep things even. If you complete THAT playthrough, the next one will raise the difficulty AGAIN, and so on, until about the seventh playthrough, where you’ll be able to keep going, but the difficulty won’t increase to any significant degree, or so I’m told. You’ll likely want to play through the game more than once if you get into it, also, because there’s a lot of stuff you’re likely to miss the first time around, and items you can only acquire through multiple playthroughs that you simply won’t be able to collect in one go. There are also a significant amount of Achievements to earn through playing the game, and while none of them are particularly complex to earn or borne from any sort of increased difficulty per say, many of them do require you to perform tasks that aren’t required or play through the game multiple times, so as to earn or acquire everything you need in the end. You can also try to be one of the crazy folks out there who have posted hour and a half long speed runs of the game, but I don’t recommend that. 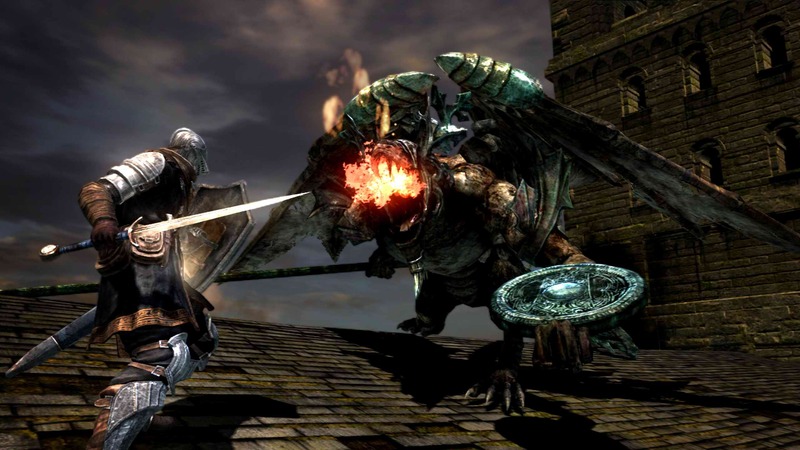 While Dark Souls certainly offers some options for less skilled players that can allow them some helping hands through the game, that doesn’t mean it’s not hard, however, which may be an issue for some players. If you’re of a decent skill level you’ll likely power through the game by sheer force of will, if nothing else, but some stages and bosses are far worse than others (Blighttown and Queelag come to mind). It’s also a good thing that the online play mechanics have been balanced and expanded, but most of the expansion to the online options comes down to “new ways to attack others”Â over any sort of options that might make it easier to find help when needed. 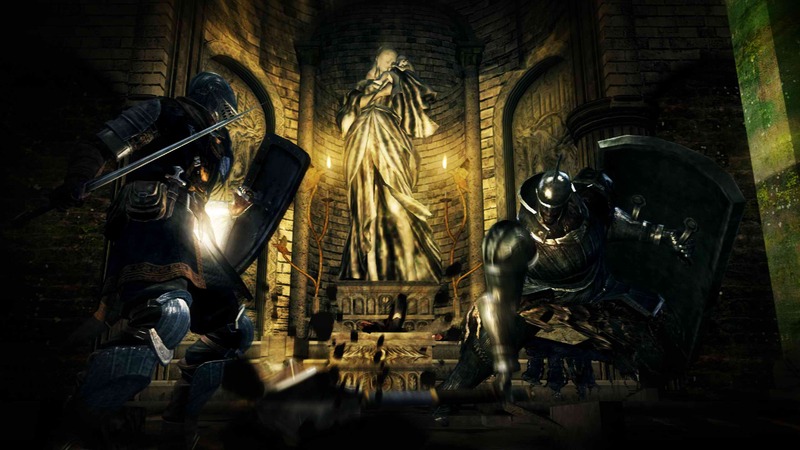 Dark Souls also doesn’t really do a lot to expand on the base concepts laid out by Demon’s Souls; while the bonfire and humanity gimmicks and the open world environments are nice, bonfires are more a concession needed because of the loss of the hub, humanity is an expansion of the human form concept from the prior game, and making an open world game just brings this closer to most other sandbox titles in the past few years. Further, some of the added elements, such as Covenants and sins and such, seem underdeveloped. Great, you can donate to your chosen Covenant if you wish, but when dealing with Covenants that have levels that literally offer nothing, why would you? Two Covenants are based around the idea of invading the worlds of players who are in specific zones and have done terrible things in said zones, which is fine except that said players are unlikely to even be in those zones for long once they’ve pissed off the residents, so what is the point? It’s not that these are even bad ideas so much as underdeveloped ones; the concepts are fine on their own, but require more seasoning before they can be considered viable concepts instead of novelties that no one is going to care about. Dark Souls, despite notable technical issues and conceptual hiccups, is a worthy successor to Demon’s Souls in most every way, and it takes the ideas from its predecessor that worked and sharpens them into a product that is, by and large, improved in most every way that counts. The story is perfectly fine, the visuals and audio are especially engrossing and good at evoking the mood the game strives for, and the gameplay, while a bit daunting to learn at first, is very tight and well developed overall. There is a significant amount of challenge to the game, as one would expect, but there are also more than a few helping hands placed throughout the game that players can make use of which, in turn, allows less skilled players to see the product From Software has provided as well. Further, the game is exceptionally lengthy and offers plenty of elements to players to bring them back, including expanded online play, the option of multiple New Game Plus sessions, and plenty of things to collect and Achievements to earn. The game is still going to be a bit oppressive even with the minor concessions that pop up, of course, and some sections feel more properly balanced than others, for a number of reasons. The game also doesn’t do nearly as much to add to the formula as Demon’s Souls did, some of the ideas feel less than fully fleshed out, and there are, at present, some technical hiccups and framerate issues that hurt the experience a bit. On the whole, however, Dark Souls is one of the best games released this year, pound for pound, and anyone who feels like they’re looking for a challenge should step right up and, yes, prepare to die. A lot. Dark Souls keeps true to the legacy of its predecessor by remaining an atmospheric, tough gaming experience while adding in new elements and content, and while it’s not without its missteps, it’s easily a worthwhile investment for the gamer who wants to punish themselves to prove their might. The story keeps things going without being intrusive, and the visuals and audio are ambient and play into the feel the game is going for nicely. The game takes some time to learn how to play, but rewards the time spent with success if you can work with it, and offers plenty of ways to adjust and learn even if you’re not very skilled. There are also plenty of options for those who want more than just the core experience, including a virtually endless New Game Plus option, multiple online play systems, and some rewarding and complex Achievements to earn for the dedicated player. Just because the game offers helping hands doesn’t mean that the game isn’t tough, and as a result, unfortunately, some parts are a good bit more challenging than others, which can throw you off a bit. Further, the game doesn’t bring a lot of new ideas to the table, some of the refinements feel underdeveloped and poorly implemented, and there are some technical issues that can impact the experience mechanically. 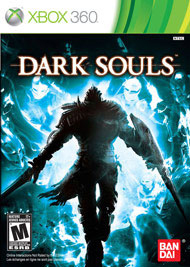 As a product, however, Dark Souls is an effective one, as it’s an ambient experience that tests your mettle as a gamer and pushes your patience and skills significantly, and while it’s not without its blemishes, it’s an easy game to recommend to the player looking to test themselves against a game that proudly proclaims it’s going to kill you a lot. God, I would kill for another Echo Night.